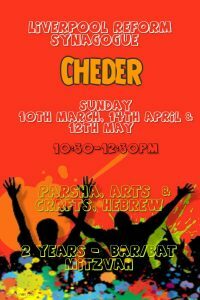 This coming Friday we will be holding the first of this year’s Erev Shabbat Chavurah Suppers led by Martin Herr. To remind you, this consists of sitting round the table, singing some Shabbat songs followed by Kiddush, eating, chatting and benching after the meal. The doors of the Shul will be open at 6.30pm for everyone to help to prepare the room and put the food out. 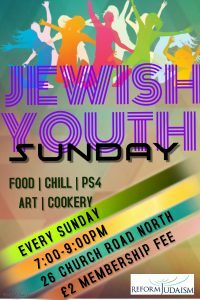 Please bring along something that is either kosher/non-meat or vegetarian (sweet or savoury) to share on the night.